Getting into the Valentine's Day mood, I combined a couple of vintage out of copyright images for cards or pages. Leave as is or add a touch of color. 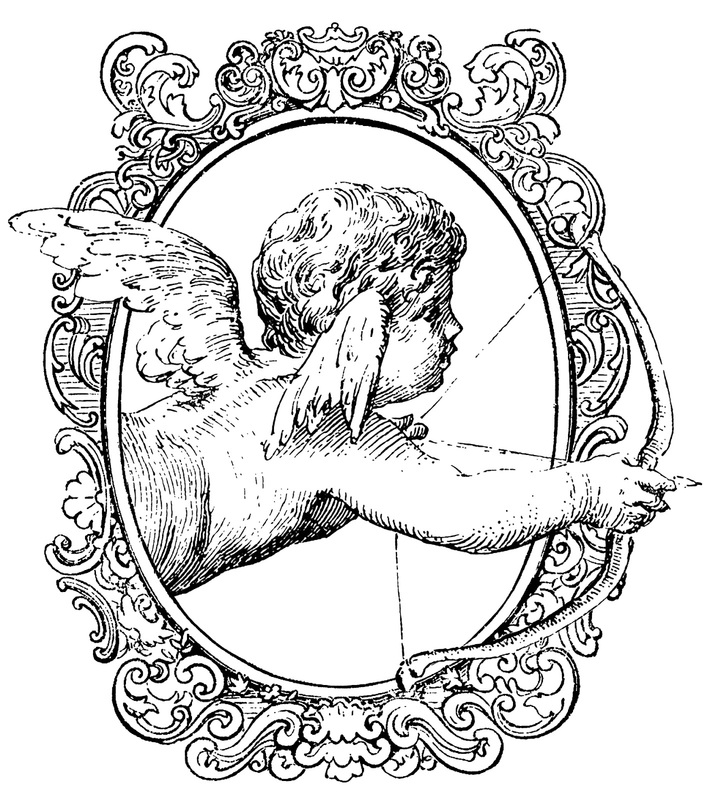 Download this free high res framed Cupid by right mouse clicking and save as. So many design uses. 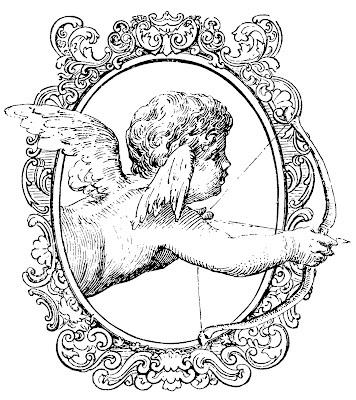 Can be also used on cupid for Valentines day! 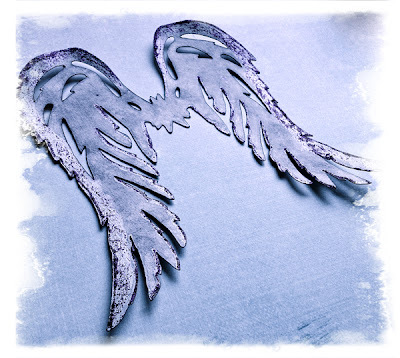 Sale on Angel Wing cutter file. Now only $2. Comes as an SVG to your email. USe with your favorite cutter program. If you need another cutter fie format, let me know. Check out other items on sale here! The wings above, I used Tim Holtz Distressed Ink, Dusty Concord and Ranger Stickles, purple. SVG's will be emailed to you or you will receive instructions of where of download as soon as I can process it after payment. Usually well within 4 hrs.